Safety First! Prevent Rounds From being Chambered, Actions From Engaging, Cylinders From Moving, or Magazines From Loading. This Boomstick Gun Accessories Gun Lock has a cable length of 15" to fit most Handguns, Shotguns, or Rifles. 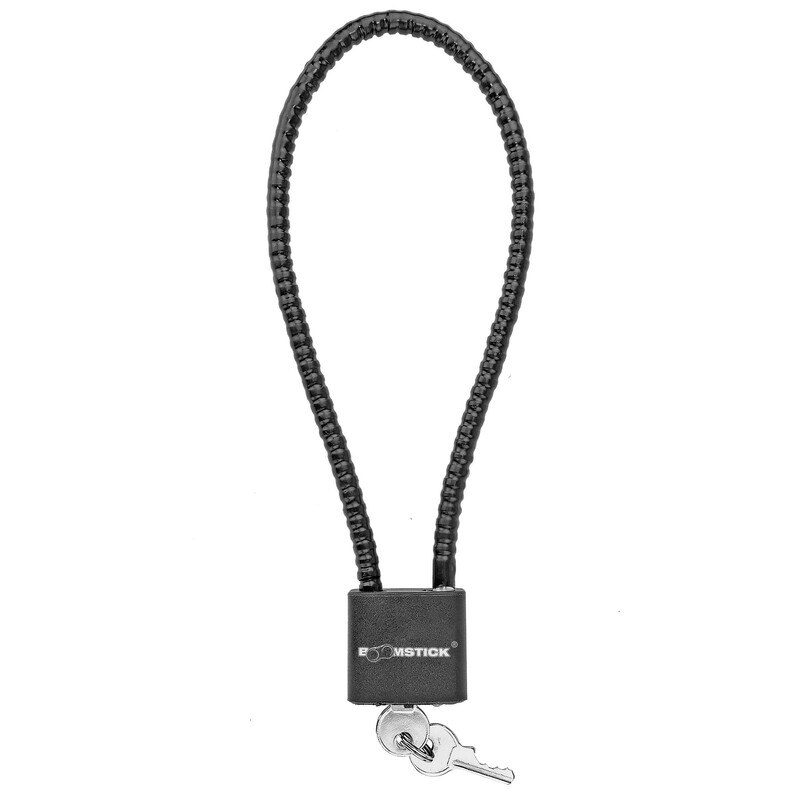 Cable and lock are vinyl coated and includes 2 Keys With Each Lock! These are not all keyed the same so if you buy more than one expect them to be keyed different!